Edwin A. Locke is Dean’s Professor of Leadership and Motivation (Emeritus) at the R.H. Smith School of Business at the University of Maryland, College Park. He received his BA from Harvard in 1960 and his Ph.D. in Industrial Psychology from Cornell University in 1964. He has published over 280 chapters, notes and articles in professional journals, on such subjects as work motivation, job satisfaction, incentives, and the philosophy of science. He is also the author or editor of 11 books, including Study Methods and Study Motivation (Second Renaissance Books, 1998), Goal Setting: A Motivational Technique that Works (Prentice Hall, 1984, with G. Latham), A Theory of Goal Setting and Task Performance (Prentice Hall, 1990, with G. Latham), Handbook of Principles of Organizational Behavior (Blackwell, 2000; 2nd edition Wiley, 2009), The Prime Movers: Traits of the Great Wealth Creators (AMACOM, 2000; 2nd edition Ayn Rand Bookstore, 2008) and Post Modernism and Management: Pros, Cons and the Alternative (Elsevier Science, 2003). His goal setting theory (developed with Gary Latham) was rated as #1 in importance among 73 management theories. Dr. Locke has been elected a Fellow of the American Psychological Association, of the Association for Psychological Science, and of the Academy of Management. 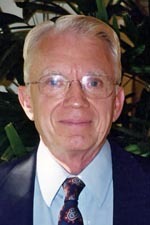 He has won the James McKeen Cattell Award from the Association for Psychological Science, Distinguished Scientific Achievement Awards from both the Academy of Management and the Society for Industrial and Organizational Psychology, and the Lifetime Achievement Award from the OB division of the Academy of Management. He has been cited more than 9,000 times in the professional literature and has given more than 100 papers at professional conferences. He is interested in the application of the philosophy of Objectivism to the behavioral sciences and has published several articles and chapters on this topic. * The FABBS Foundation would like to thank Dr. Leaetta Hough and Dr. Gary Latham for nominating Dr. Locke for this honor and for leading the effort to spread the word about his nomination. Would you like to honor Dr. Locke? It isn’t too late to have your name added to the list of donors! You can make your donation to Dr. Locke’s In Honor Of… campaign at anytime.